Lorient, leading door seal manufacturer recently launched integral antimicrobial protection into its range of popular door seals for sound, smoke, fire and thermal containment as standard, these include – Finesse™, DS, Batwing® and plain fire seals. In addition to this, Lorient is now introducing integral antimicrobial protection into a number of other products within its fire resistant glazing systems, and fire and smoke resistant dampers/ air transfer grilles ranges. Bacteria is usually transmitted by direct skin to skin contact, but it can live on common surfaces such as doors; and its ironmongery including door seals, air transfer grilles, and glazing systems etc. 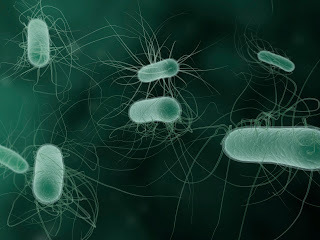 Hygiene is of paramount importance in public buildings such as hospitals and care homes; which are constantly under threat from bacterial cross-infection, from superbugs such as MRSA and E.coli. In these vulnerable environments, every precautionary measure counts. Products that now incorporate antimicrobial protection include Lorient’s vision intumescent style air transfer grilles LVV40 and LVC40, which can be used to provide up to 60 minutes fire resistance for fire and hot smoke; as well as Lorient’s new versatile 60 minute fire resistant glazing system – RF1®. Lorient incorporates antimicrobial technology during manufacture for maximum effectiveness; tested and proven to be up to 99% effective at killing a wide range of bacteria including MRSA and E.coli in independent laboratory tests. The active ingredient works by preventing the bacteria’s access to nutrients so that they starve and die – levels of bacteria on surfaces are significantly reduced over a 24 hour period. The technology, which is non-toxic, remains active on the surface of the seal for many years, due to its low water solubility. Many more products from the Lorient range will be available with integral protection in the future. For further details please visit www.lorientuk.com or call our Technical Services team on 01626 834252.